19.75" overall. 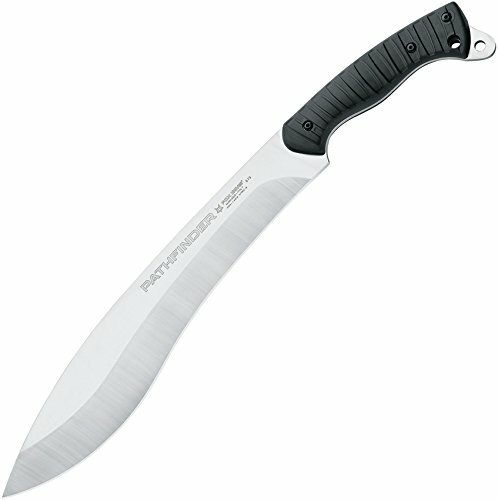 13" satin finish bohler N690 stainless blade. Black rubberized nylon handle. Full, extended tang. Lanyard hole. Brown leather belt sheath. Boxed.